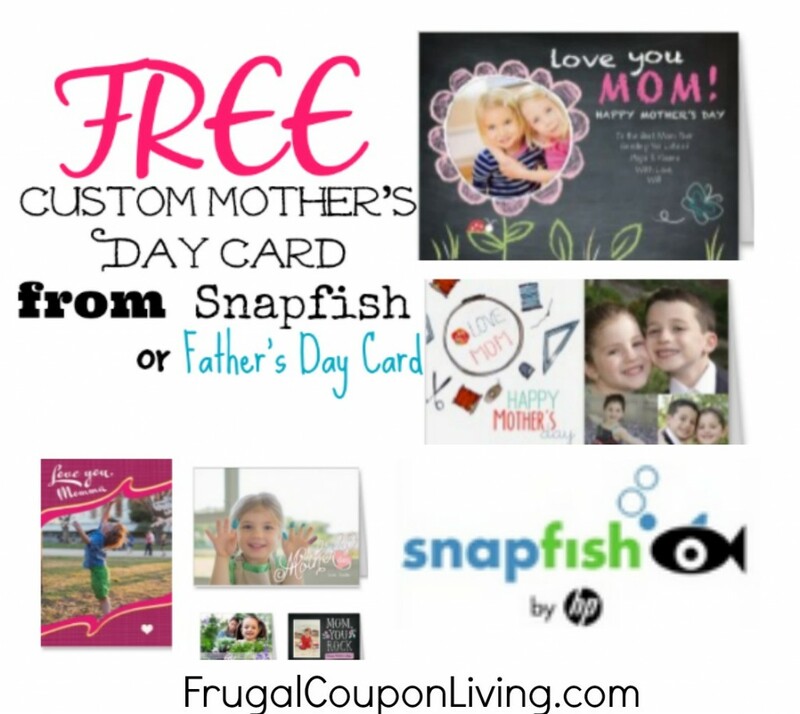 This Mother’s Day grab your mother a FREE Mother’s Day Greeting Card from Snapfish! That’s right a FREE Mothers Day Card! To grab your Free greeting card just use coupon code FREECRD at checkout. Head to Snapfish to take advantage of this deal, but HURRY this offer is only valid through 4/30/14. Get any card up to a $3 Value for FREE, Valid for US Customers only. Shipping is not included. Looking for more be sure to look at Snapfish 50% off Photo books and use code 50MBK at checkout to grab yours for 50% less Or Buy 1 Get 2 FREE Photo Books with the coupon code 3BKSAP at checkout. So many deals for mom! Get more Freebies or Photo Deals from Frugal Coupon Living! Tip: This does not state for new customers only, but when this is the case, it is always wise to open an account for mom, husband, dad, etc. Accounts are based on email addresses!